Middletown’s senior adult group, Frisky Folks, meets every Tuesday at 10:30 a.m. in the Fellowship Hall. They enjoy potlucks, field trips, guest speakers, and birthday parties. 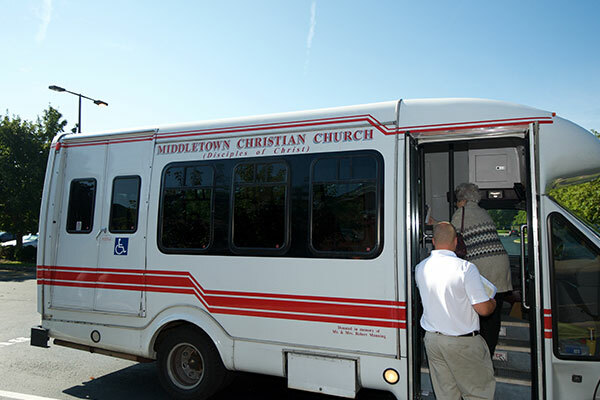 If you are less mobile, Middletown also offers van service to worship and homebound communion. We celebrate our members who are 75 years or older each fall with our Diamond Disciples event. We also offer periodic workshops for caregivers of senior adults and others. Check our Events page for upcoming items of interest. For information about van service for Sunday morning worship, contact Tracey Spann, [email protected] or 245-9793. For more about senior adult care, contact Melvin LeCompte, Congregational Care Minister, [email protected] or 245-9793.